The Bible and Digital Millennials explores the place of the Bible in the lives of 18 to 35 year-olds who have been born into the digital age. As the use of digital media becomes increasingly pervasive, it should follow that it will have a significant effect on people’s engagement with religion and the sacred texts associated with it. 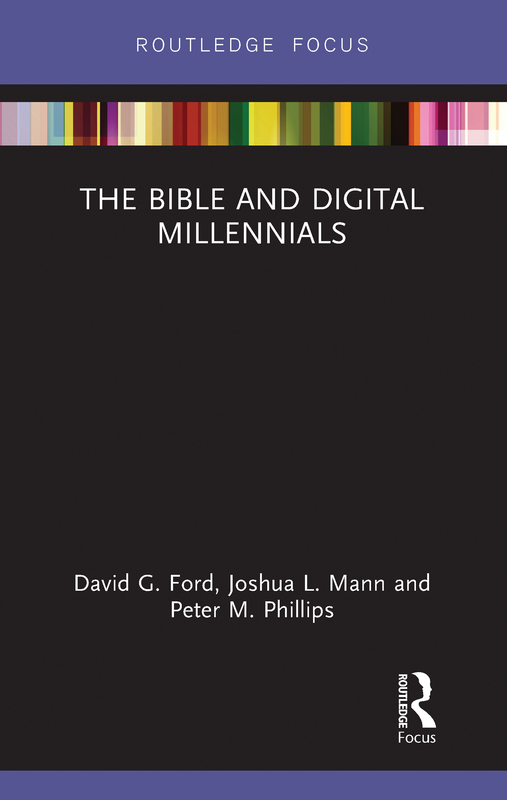 Drawing on contemporary in-depth surveys, this study unpacks digital millennials’ stance towards, use of and engagement with the Bible in both offline and online settings. The book features results from a nationally representative survey of 2,000 young British people specifically commissioned for this project. The data is also compared with the findings of others, including a poll of 850 British Bible-centric Christians and recent Bible engagement surveys from the USA. This book investigates the relevance of the Bible to the lives of those who have grown up in the digital age. It will, therefore, offer fresh insight to any scholar of biblical studies, religion and digital media, and religious studies.